Next spring, capitalising on the increased cultural footfall in Monaco during Art Monte-Carlo, Giorgio Pace and Nicolas Bellavance-Lecompte will present Nomad, a new itinerant showcase and salesroom for collectable design. Bellavance-Lecompte, one half of Oeuffice and co-founder of Beirut’s Carwan Gallery, is no stranger to dealing with collectors. He, along with brand specialist Pace, understand that there’s a gap in the luxury market for a highly curated, extremely exclusive version of a global art fair. ‘Nomad will rethink the classic idea of fairs and exhibitions to create an event that is bespoke, intimate and that presents work in a radically new context,’ the duo explain. This three-day event aims to work just as much for the galleries as for the collectors; priding itself in locating the design objects within the broader environment in which they’re seen. With the full list to be announced in January, around 15 galleries are expected to participate – with some familiar names, as well as a few left-field ones. Each gallery will have the rare luxury of space and privacy for their displays – something that’s often lacking in traditional art fairs. Each gallery will occupy its own, beautifully appointed room. The iconic building Bellavance-Lecompte and Pace have picked to house this inventive showcase couldn’t be more choice. Perched on a rocky precipice high above Monte-Carlo Beach Club, La Vigie is one of the oldest and most prominent houses in Monaco. 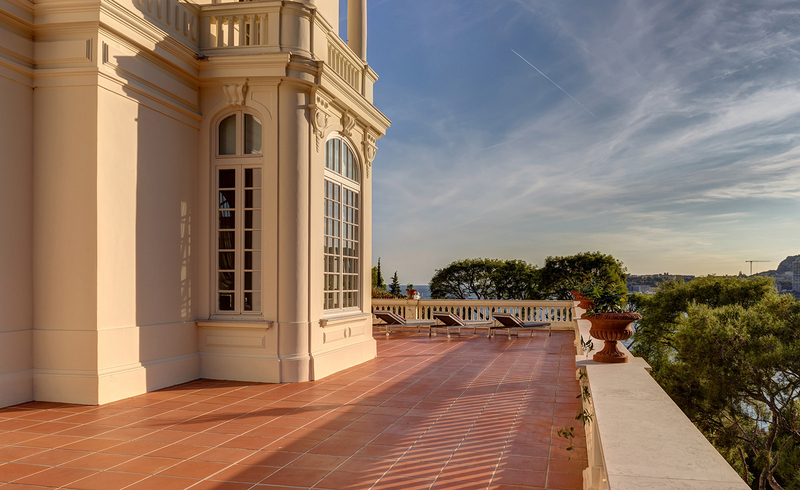 Built in 1902, the villa once served as a private home for the Monegasque Princely family before being fully restored and inhabited by Karl Lagerfeld. Nomad, living up to its name, will relocate every year to another important architectural location – though we challenge them to top this inaugural clifftop venue.